Please Contact Us if you have other articles to share on the LCFP History. Thank you. 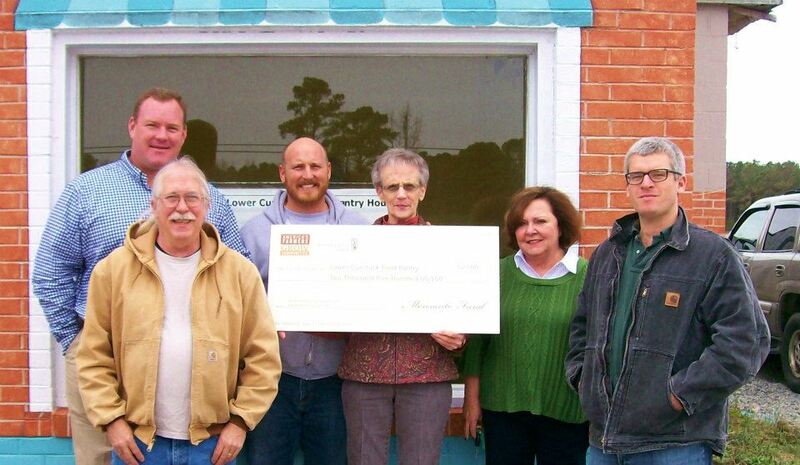 Monsanto Seed presented the LC Food Pantry a check for $2,500. Wright Brothers Farms nominated the Pantry for this gift. We are most grateful to Monsanto and the Wright Brothers for this most generous support. L to R: Bill Henkel; Glenn Roundtree; Ted Jagucki; Polly Gregory; Gerry Forbes & John Wright. 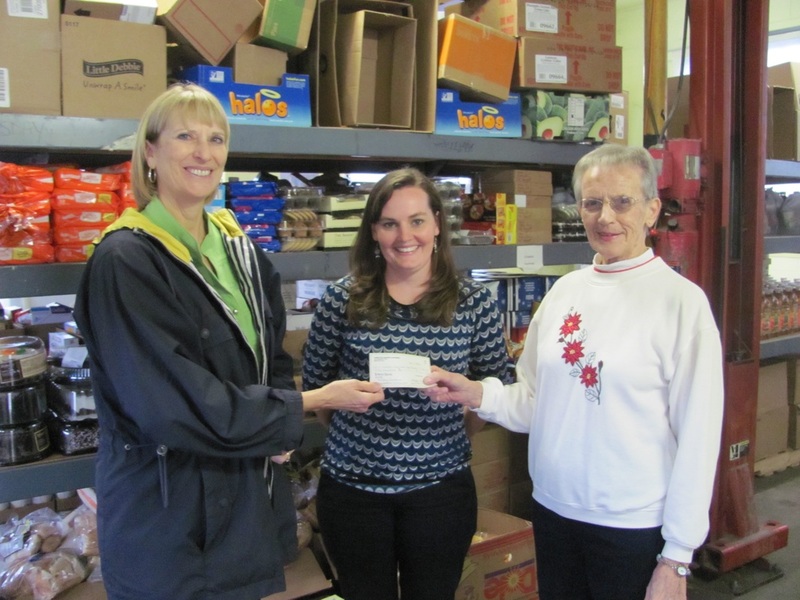 The Currituck Extension Master Gardeners donate to the Lower Currituck Food Pantry, December 2015. 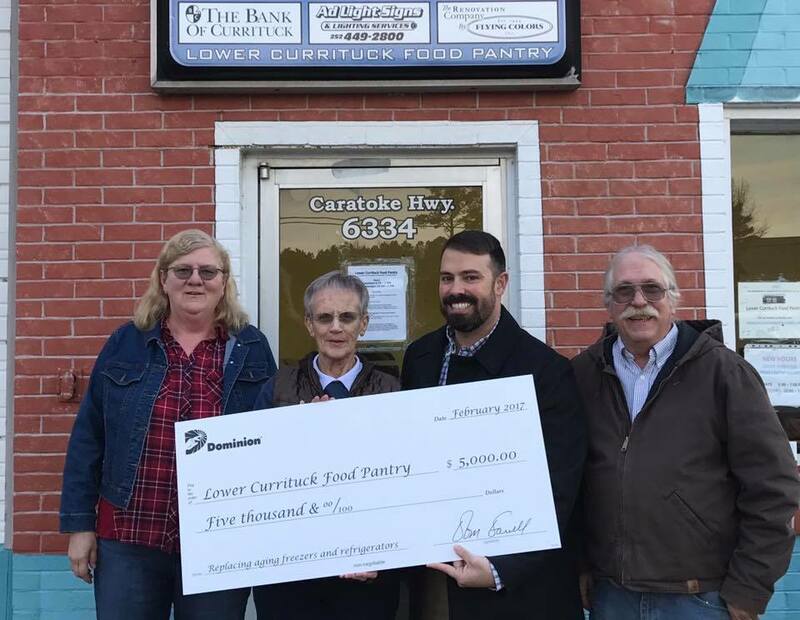 Executive Director, Polly Gregory accepts check from Dominon employee, Daniel Garrett for a Dominion Foundation critical community needs grant to assist the pantry in replacing aging refrigerators and freezers. — with Polly Gregory and Bill Henkel. 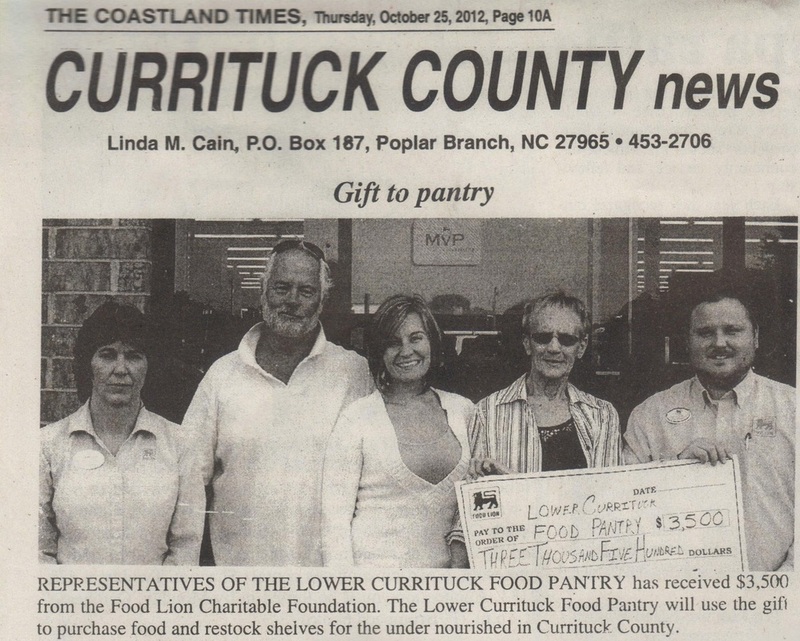 Click to return to the History of the Lower Currituck Food Pantry page.